Central Square Nha Trang has not only the advantage of “diamond position” but also the unique sail design. This project will probably provide full of utility services for travelers and resident. All of AB 44 Tran Phu project’s furniture has been a source of the famous brands in the world. These furniture have modern and noble style in order to highlight the perfect beauty of the apartment. The uniquely architectural design of each unit has been able to put 100% sea-view landscape so that residents can enjoy the real wind and warm sunshine of the miraculous nature. 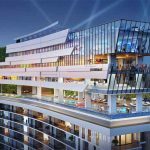 The building includes 36 floors which consist of one basement full of services and nine commercial floors with sky bar and sky pool. This nine floors include retail system on the 1st, 2nd and 3rd floors, the high quality movie theatre on the 4th one, food and drink service, the Banquet halls, the hotel boom, hotel lobby and spa on the others one. The AB Central project is similar to a heavenly resort with a sky pool on the 29th floor which has a spectacular view to bring a comfortable and relaxing space for you and your family. 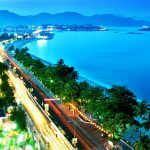 Beside, a luxurious sky bar which is probably a good position to relax and enjoy the beautiful Nha Trang city’s landscape at night located on the rooftop. 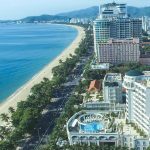 AB Central Square Nha Trang is located on the most dominant way as the gold position which distances from the Nha Trang beach 50m and is adjacent to some main roads ( Tran Phu – Hung Vuong – Le Thanh Ton). 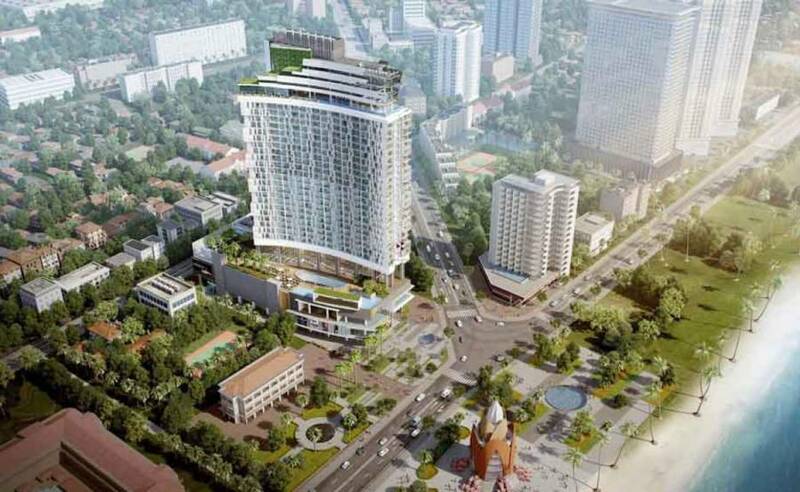 It is very near to Tran Phu Square, Nha Trang Center, Ocean Gate, Muong Thanh Center, etc. A utility system surrounds this project such as Agribank, Nha Trang art center, Nha Trang night market, Nha Trang Lodge, etc. AB Central Square’s advantages will satisfy every customer’s demands. If you visit Nha Trang, you will not be hesitant to choose a high quality unit like AB Central project’s one . It become certainly a good place for you and your family to enjoy the heaven life in this beautiful city. What Resort Did Donal Trump Choose To Come To Vietnam In 2008?